Oral and dental health is closely related to body health. Many consider brushing their teeth enough. But the routine of brushing teeth, cleaning the oral cavity using mouthwash, and using dental floss was not enough to maintain healthy teeth and mouth. Problems with teeth and mouth can be fatal to overall body health. Infection of teeth or gums can spread into other body tissues. The disease caused is not only related to the health of teeth and mouth, but also the health of other organs. The mouth is the gateway to the inside of the body. 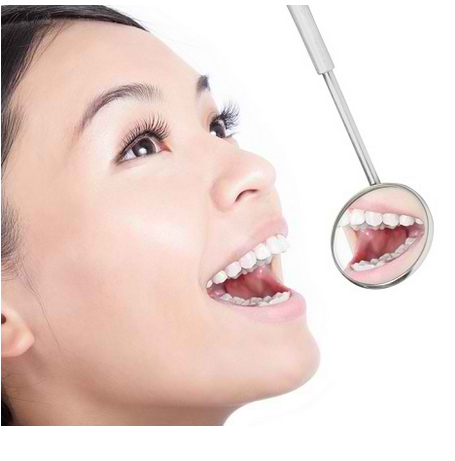 Therefore, dental and oral health can affect the overall health of the body. In all parts of the human body there are many bacteria which are mostly harmless, as well as in the mouth. Healthy mouth and teeth can help prevent bacteria from developing excessively. Brushing your teeth and using dental floss regularly greatly supports the creation of a healthy mouth condition. The condition of the mouth and teeth that are not maintained gives the bacteria in the mouth the freedom to multiply, thus allowing the occurrence of gum disease and tooth decay. In addition, side effects of drugs, such as antihistamines, pain relievers, and decongestants, can cause reduced saliva production, which contributes to the proliferation of bacteria. Saliva is useful in preventing the entry of germs that are at risk of causing disease, is also in charge of sweeping food debris in the mouth and neutralizing the acids produced by bacteria. If the cleanliness and health are not maintained, the mouth will become the gateway for the entry of various germs. In addition to brushing teeth, gargling with mouthwash, and cleaning teeth using dental floss, there are other important preventive measures that must be considered. Check your teeth to the dentist every six months. Even though you have no complaints about dental and oral health, many benefits are obtained from regular dental check-ups. If there are abnormalities in the gums, tooth decay, or a more serious disease, the doctor can detect it early. Besides being easier to treat, usually the cost of treatment for diseases that are still in the early stages will be cheaper compared to the cost of treatment for conditions that are already severe. Choosing the right toothbrush also has an impact on dental health. The maximum limit for using your toothbrush is three months. Even so, one thing to note is the condition of the bristles on the toothbrush. If the feathers have bloomed, even fall out, don't use them again even though it's not three months. You are advised to choose a toothbrush with soft bristles so as not to hurt the gum. The way to brush your teeth must also be considered. Hold the toothbrush with a 45 degree angle toward the gum. Brush your teeth in short, not too hard, and do them in a circular motion. There is no need to overdo it when brushing your teeth, just do 10-15 times a stroke per tooth. The recommended length of brushing is 2 minutes. Limit consumption of sugar because this is a source of energy for bacteria, the cause of the formation of plaques that can damage the enamel of the teeth and gums, as well as the ingredients to form mouth acidity. All that can cause damage to the teeth. Cigarettes play a role in the formation of plaque on the teeth. Smoking makes the mouth a breeding space that is very good for bacteria. Two substances in cigarettes, namely nicotine and tar, have the potential to gnaw gum and make teeth yellow and black. Another disadvantage if you smoke is the risk of decreasing the quality of the bone that supports the teeth, so that the teeth are easier to date. Smoking also increases the risk of oral cancer, because of the effects of various chemicals found in cigarettes. Phosphoric acid and citric acid are two types of acids used to add flavor to soda. Both of these substances can threaten dental health because of its nature which can gnaw the surface of the teeth. In addition, soft drinks also generally contain lots of sugar.